The 76 mainly Igbo "destitute" deported to Upper Iweka Bridge, Onitsha, Anambra State on July 24, 2013 by Governor Fashola Of Lagos State Government, have instituted legal action in the Federal High Court, Lagos against the Lagos State Government. The deportees are Nnenna Ogbonna, Joseph Aniebonam, Osondu Mbuto, Osondu Agwu, Emily Okoroariri, Friday Ndukwe and Onyeka Ugwu instituted the action on behalf of the 76 others as Applicants, while the Attorney-General of Lagos State and the Commissioner of Police, Lagos State are the respondents. The applicants' Ugo Ugwunnadi, asked the court to declare that they, as Nigerian citizens were entitled to the enjoyment of their fundamental rights as provided for in Sections 34, 35, 36, 37, 40, 41 and 42 of the 1999 constitution, as amended. The Vanguard reports that the applicants are also seeking a perpetual injunction restraining the respondents, their agents, workers and officers from their further deportation or refusing them free entry into Lagos and free exit there from, as well as an order mandating the respondents to tender a written apology to them by publishing the apology in three national newspapers continuously for 30 days, from the date of the first publication, for unlawful and gross violation of their constitutional rights. 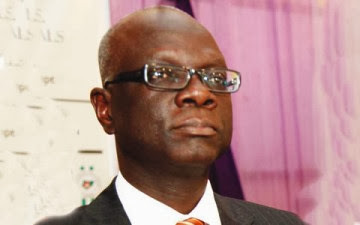 The deportees are also seeking a declaration of the court that their arrest and detention in various camps within Lagos state for no offence known to law and without trial and conviction by a court of competent jurisdiction, amounted to a serious breach of their rights as provided for in the relevant sections of the constitution. The suit was brought as a motion on notice pursuant to Order 11, Rule 1&2 of the Fundamental Rights (Enforcement Procedure Rules), 2009, Sections 34 (1) (A), 35, 40, 45 (1), 42 (1), 46 (1) and 6 (1) of the 1999 Constitution, as amended; Articles 5, 6 and 12 of African Charter on Human and Peoples Rights. They also sought an order of the court to declare that their deportation from Lagos State to Anambra State on July 24, amounted to a gross violation of their rights and a breach of the provisions of the 1999 constitution, as amended, adding that the court should mandate the first respondent to re-absorb and accommodate the applicants within Lagos State since they were Nigerian citizens and were entitled to reside in any part of the country including Lagos State. Also, the applicants noted that the issue for determination is whether the action of the respondents in arresting, detaining and their subsequent deportation from Lagos to Onitsha, Anambra state was justified in law, in view of the supreme provisions of the 1999 constitution of Nigeria.